Google has launched Android Oreo (Go Edition), or Android Go for short. This is a pared-down version of Android Oreo designed for budget smartphones, and it comes with lightweight versions of core apps such as Chrome, Google Play, Google Maps, Google Assistant, and the new Files Go Google's New Files Go App: Everything You Need to Know Google's New Files Go App: Everything You Need to Know Files Go is the new file explorer direct from Google -- so how is it? Read More . While iOS set the early pace when it came to smartphones, Android has since taken the lead. And having captured one billion users, Google is now going after “the next billion” users. These users will primarily live in developing countries, which is why Google is launching Android Go. Android Oreo (Go Edition) is a pared-down version of Android Oreo. It’s designed to work on Android devices with 512MB to 1GB of RAM, which would struggle to cope with the demands of the full version of Oreo. And it’s primarily (but not exclusively) being aimed at developing nations. Google claims the average app will run 15 percent faster on devices running Android Go. This lightweight version of the OS is also optimized to take up less storage space. Add in the smaller size of the preinstalled Go apps, and low-cost devices will double their available storage. These preinstalled apps are Google Go, Google Assistant Go, YouTube Go, Google Maps Go, Gmail Go, Gboard, Google Play, Chrome, and the new Files Go app. Which are designed to be smaller and faster than their full-size counterparts. The Datally app Google's Datally Helps You Save Mobile Data Google's Datally Helps You Save Mobile Data Google has released a new app designed to keep your other apps in check. It's for Android, naturally, is called Datally, and is all about helping you save your mobile data. Read More will help you save even more data. 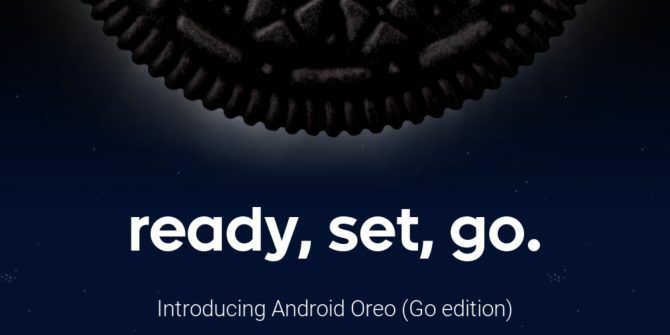 Google is releasing Android Oreo (Go Edition) alongside Android 8.1. 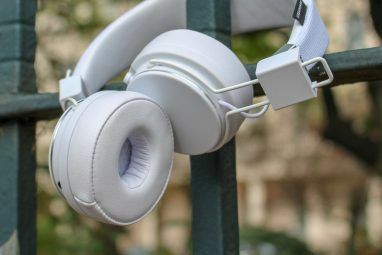 Manufacturers will be able to release it on their entry-level devices around the world in the coming months. So if you’re looking to buy a new low-end Android handset next year you could be blessed with Android Go. Android Go is a fantastic idea, and one which should ensure Google continues to win big in countries where people cannot afford the latest and greatest smartphones. Apple has talked iOS up as an aspirational operating system, but Google has ensured Android is the OS for everyone Android Now Powers 9 Out of 10 Smartphones Android Now Powers 9 Out of 10 Smartphones The mobile operating system war is now over. And Android won. Because while Apple still sells shedloads of iPhones, 9 of 10 smartphones sold around the world is now powered by Android. Read More . Do you own a budget or low-end Android handset? Does your phone struggle with the full version of Android? Do you welcome the release of Android Oreo (Go Edition)? Have you already installed some of the lightweight versions of Google’s apps? Please let us know in the comments below! Explore more about: Android, Android O, Google.